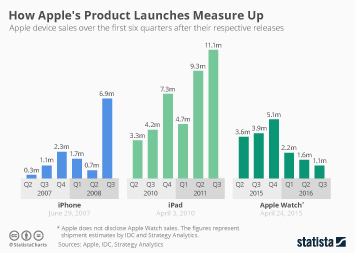 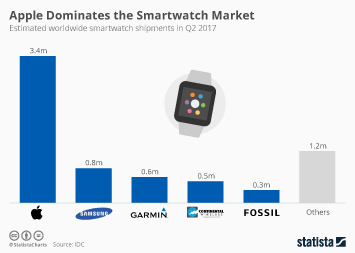 Apple is due to launch its highly anticipated smartwatch today, marking the company's first attempt at entering a new technology category since Steve Jobs's death. 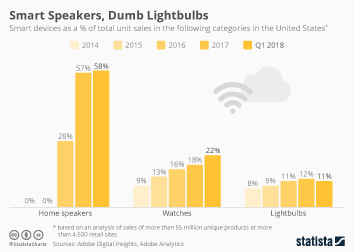 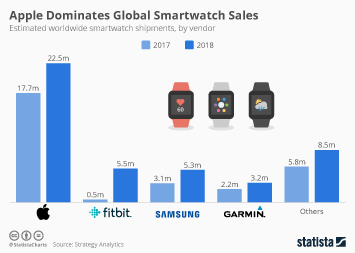 In 2014, 89 companies sold 6.8 million smartwatches across the world and the average price per watch worked out at $189. 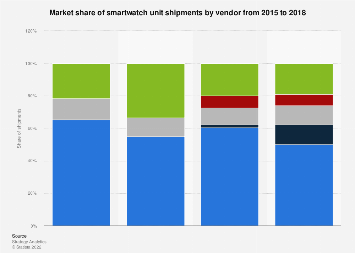 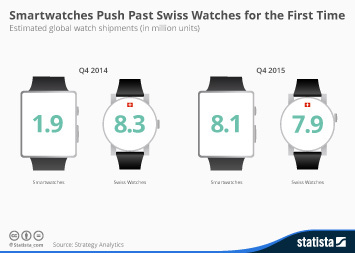 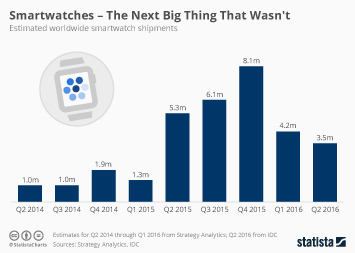 Who are the main players in the smartwatch market? 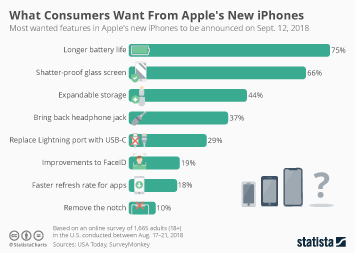 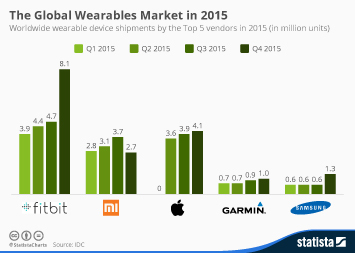 Like the smartphone market, Samsung is going to be Apple's main competitor. 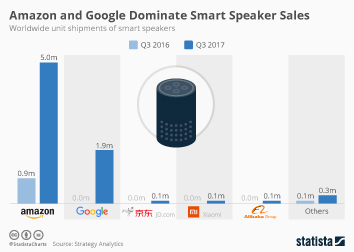 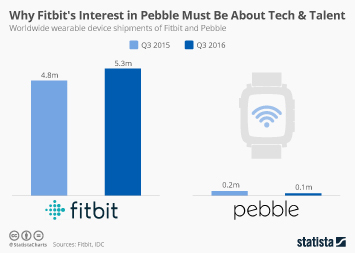 The South Korean technology behemoth sold approximately 1.2 million units in 2014, ahead of second placed Pebble with 700,000. 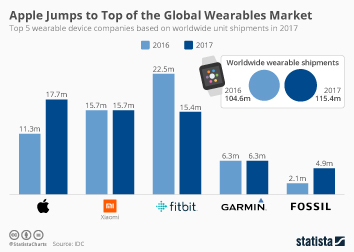 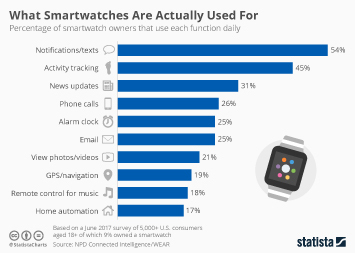 The top three was rounded off by Fitbit who sold 600,000 smartwatches. 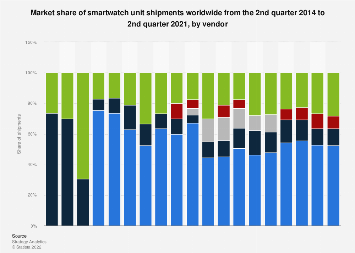 This chart shows the top 10 smartwatch manufacturers by unit sales in 2014.